A lot has changed at Lake Wicwas over the past two weeks while we were in Ann Arbor for Dustin's graduation from the University of Michigan (congrats again Dustin!). All the snow and ice is gone, and spring has come. It's one of my favorite times of the year, when the first flowers start to bloom. As usual, the Trailing Arbutus (Mayflower) is always the first, with its sweet fragrance. I wonder if this is how Arbutus Hill got its name. The other small flowers follow quickly, such as the violets. 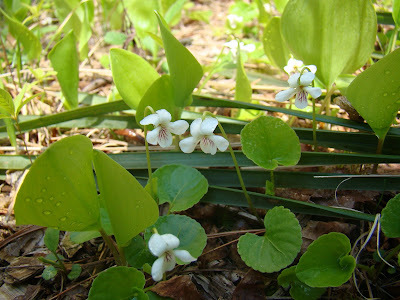 The Canada Mayflowers (Wild Lily-of-the-valley, confusing, isn't it?) have also sprouted; I'm always amazed at how they punch holes right through the leaves on the forest floor. The Downy Serviceberry (Shadbush) is flowering all around the lake, providing bright splashes of white along the otherwise still-drab shoreline. 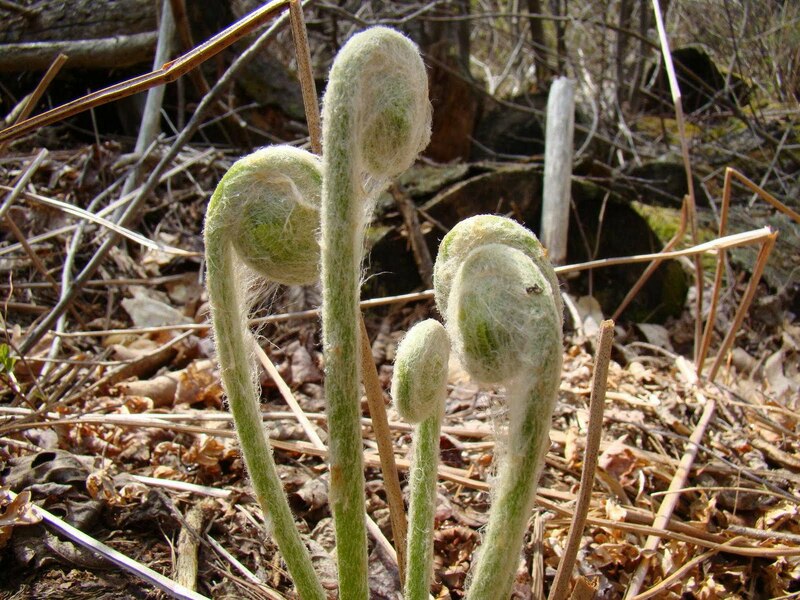 This plant got its common name because it blooms when the Shad are running. Since it grows along water edges, it was probably omnipresent for the fishermen. We have a pair of Pileated Woodpeckers spending time nearby by; they frequent all the stumps and snags around the area, and I was able to get some good pictures even though they like to hide out in protected areas. 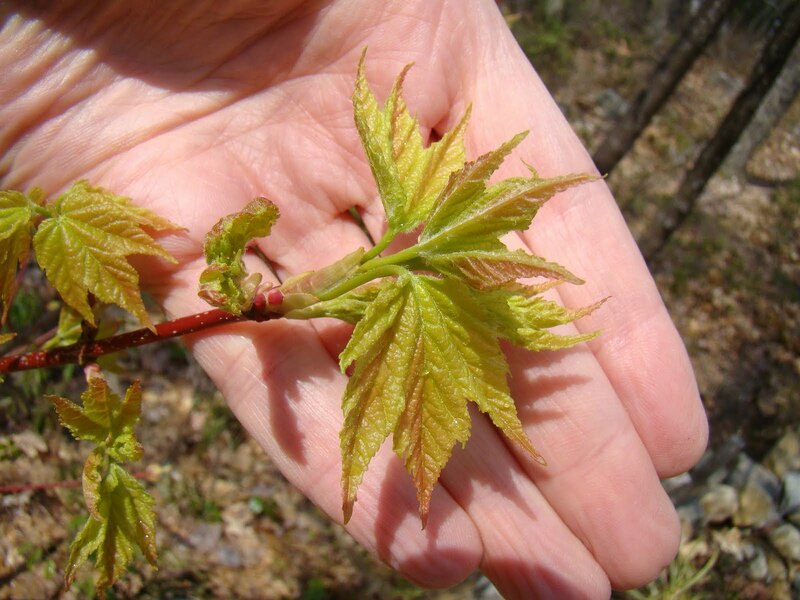 The trees have also started to bud out, with tiny, delicate leaves emerging. The buds of this year's blueberry crop are formingtoo. I took my first kayak trip of the year around the lake. There are lots of signs of a growing beaver population - new lodges are popping up all around the lake, there are lots of cut trees, and many de-barked branches on the bottom of the lake. 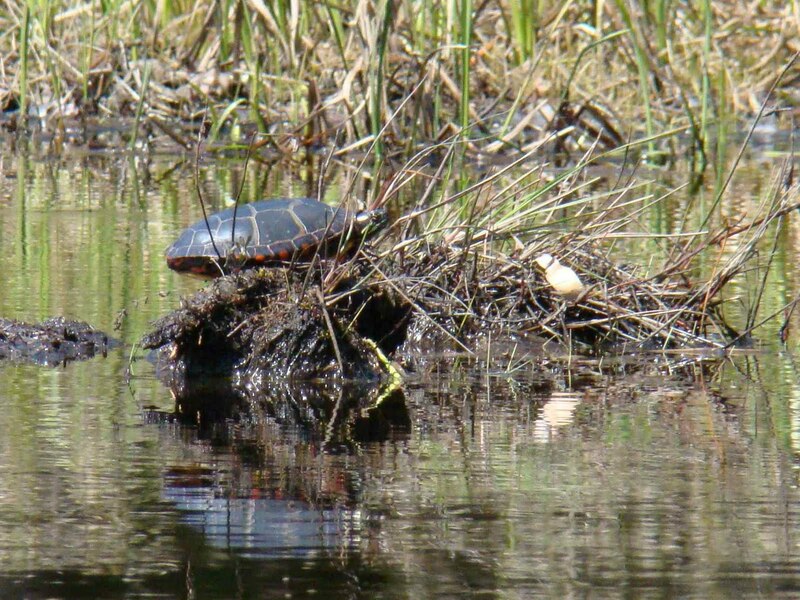 I saw a few turtles sunbathing, getting their first warmth from the sun, and a pair who swam right beside my kayak for a bit before realizing I was there and darting down into the mud. The water is still extremely clear, and it is warming up. Ferns are also sprouting, with their fiddleheads starting to unfurl from their webs.